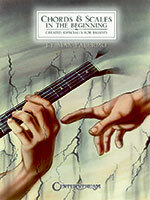 This book for beginning to advanced 4- & 5-string bassists offers a practical approach for playing scales over any chord progression to strengthen bass lines, groove patterns and solo ideas. Players will discover countless combinations to create more interesting melodies and to enrich their grooves with new and diverse patterns in any key and for every musical situation. Add heat to your holiday with these ten salsa-flavored arrangements of time-honored Christmas carols. 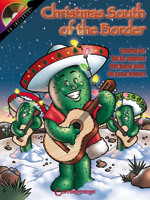 With the accompanying CD, you can play your guitar along with The Cactus Brothers on: Jingle Bells, Deck the Halls, Silent Night, Joy to the World, What Child Is This?, and more. �Feliz Navidad! 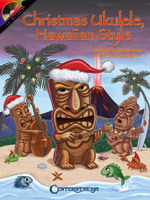 Play your favorite Christmas songs Hawaiian style with expert uke player Chika Nagata. This book/CD pack includes 12 songs, each played 3 times: the first and third time with the melody, the second time without the melody so you can play or sing along with the rhythm-only track. Songs include: Mele Kalikimaka (Merry Christmas to You), We Wish You a Merry Christmas, Jingle Bells (with Hawaiian lyrics), Angels We Have Heard on High, Away in a Manger, Deck the Halls, Hark! The Herald Angels Sing, Joy to the World, O Come, All Ye Faithful, Silent Night, Up on the Housetop, We Three Kings. More then 40 of the world�s most beautiful and enduring light classic masterpieces. 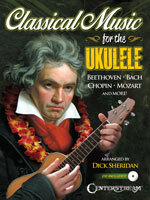 Familiar and treasured themes from operas, symphonies, concertos and keyboard compositions from the works by Bach, Chopin, Mozart, Haydn, Tchaikovsky, Wagner and more are brought together in this collection expressly for the uke. You�ll find gems such as Largo (going Home) (Dvorak), Unfinished Symphony (Schubert), Merry Widow Waltz (Lehar), The Swan (Saint-Sailens), To a Wild Rose (MacDowell) and more.